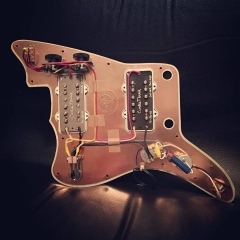 Looking to upgrade your USA or Import Jazzmaster? 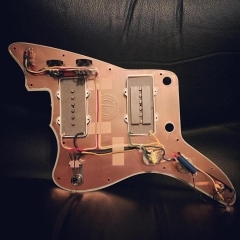 Rothstein Guitars has been building the finest professional grade pre-wired assemblies for the Jazzmaster since 2002. 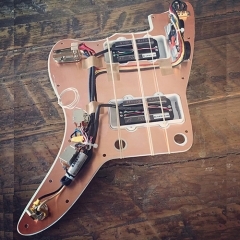 Choose from the various wiring configurations below. 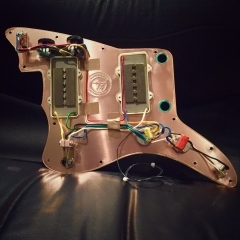 Copper - Each of our Jazzmaster assemblies comes with our signature noise-canceling copper shield. 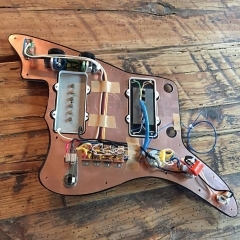 Experience - Rothstein Guitars has been building top quality electronics for the Jazzmaster since 2002, well before the Jazzmaster came back into vogue, and well before our competitors gave the instrument a 2nd thought. 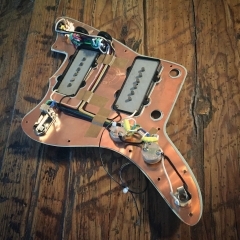 Consequently, we are far more experience on the many nuances of the Jazzmaster.